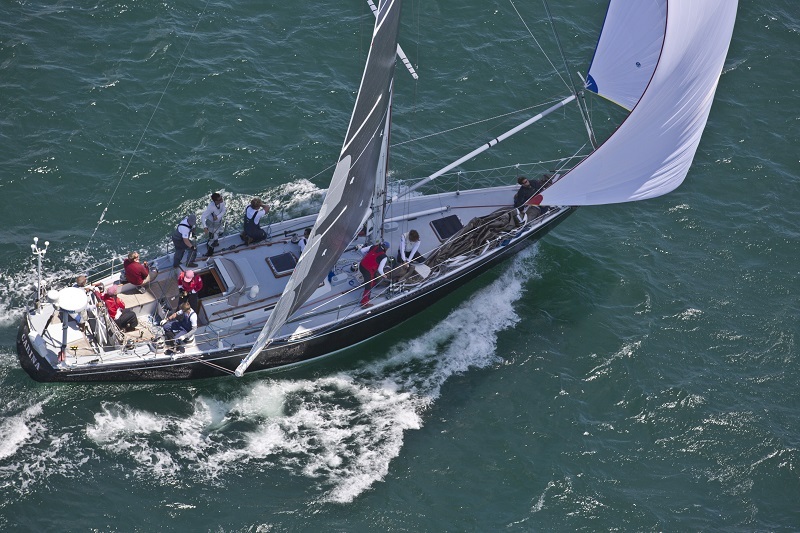 Carina, the sturdy black-hulled McCurdy Rhodes 48 foot sloop now owned by Rives Potts of Westbrook CT, has sailed the classic Newport Bermuda Race 20 times, more than any other boat. Under her original owner, Richard Nye she won the St. David’s Lighthouse Trophy in 1970. Potts won the trophy with Carina in 2010 and 2012. Now he is poised for a triple. If he makes it, he will break or tie some records along the way. This Newport to Bermuda race is the highlight of my yachting season in Bermuda. It is a must for the socialites like myself. A great opportunity to network with othee socialites. Best of luck to rhe crew of this racing yacht and the others taking part. I look forward to a great few days of socializing upon the completion of this great event.